Single Largest Donor wins a lifetime membership with GAMBIT Private Trading Group and a one hour trading consultation with @collincrypto. 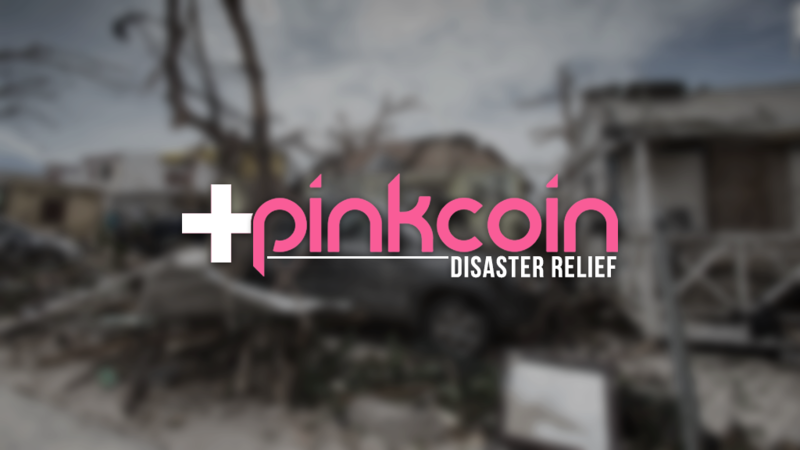 Single Largest Donor of $PINK wins a first edition PINKCOIN staking machine. Coin community with largest collective donations will be featured on Jimmy Song's Youtube show. Donate to future relief efforts now. Creating an account allows you to win prizes and participate in our giveaways. Please send the exact amount above! Otherwise your donation will not be correctly assigned to your account. If you're sending from an exchange, please consider their withdrawal fees.